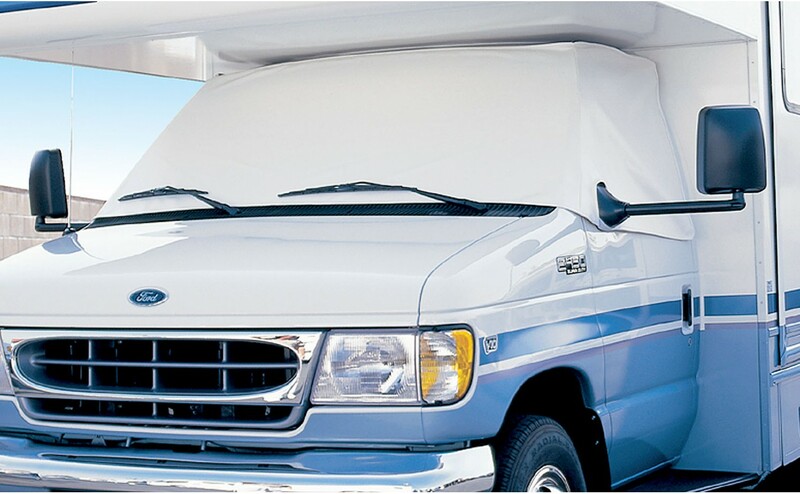 This white vinyl cover from ADCO keeps the van much cooler in the sun since it is mounted externally. It covers the windshield and both driver and passenger windows. It stays in place using magnets and a flap that you close the door on (and a velcro strap for each mirror is optional). Used two times and has a couple of scuff marks, but otherwise excellent condition. $30 plus $10 shipping (or pickup in San Diego). Interested in this as well as your rear door screen. Thanks! PM sent. Looks like a good replacement for my worn out Reflectix shades.